So Iceland has some pretty neat things to see. Including a giant waterfall (Gullfoss), a mini Old Faithful (Geysir), and a super sweet church (Hallgrimskirkja)..yea say that five times fast. I would also like to point out that the people in Iceland have an amazing sarcastic sense of humor. Most of their signs and advertisements say some pretty funny things for example there was a juice by Froosh called “More Bite than Suarez” which is funny even though Dan had to explain to me that Suarez is the futbol player who apparently bit a bunch of people during futbol matches (which is so gross/creepy). Also please notice my use of futbol instead of soccer because I’m becoming “european” whatever that means. 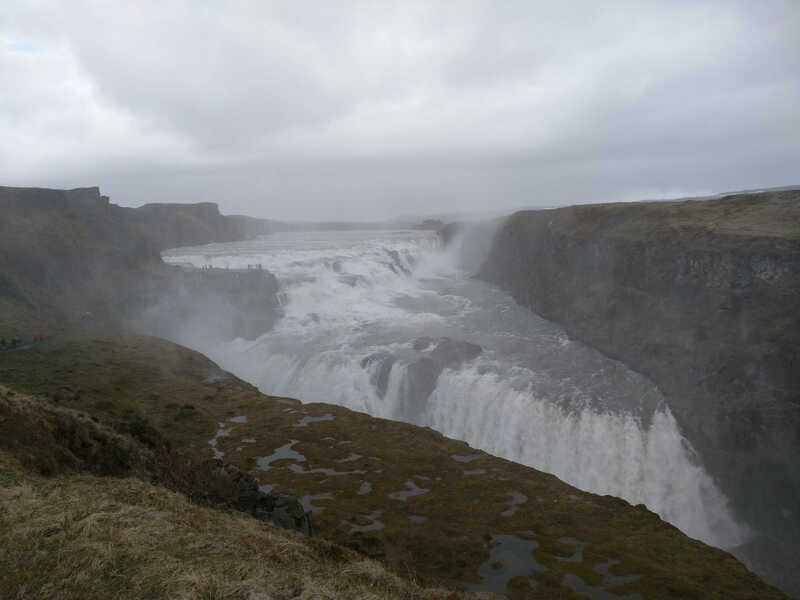 Gullfoss- The waterfall (obviously) but it is not the biggest in Iceland..that is Dettifoss. Apparently the story about this waterfall is that it is called Gold Falls because some guy threw a bunch of gold in there or because the water/sun makes a golden color. I hope its named because some guy decided to waste a bunch of gold..
Dan & Kristin at Gullfoss..you can see it is a little wet there. Tip: bring a rain coat and hiking boots. Geysir- Well this isn’t actually Geysir..that is the geyser and actually Iceland is where the term geyser comes from. 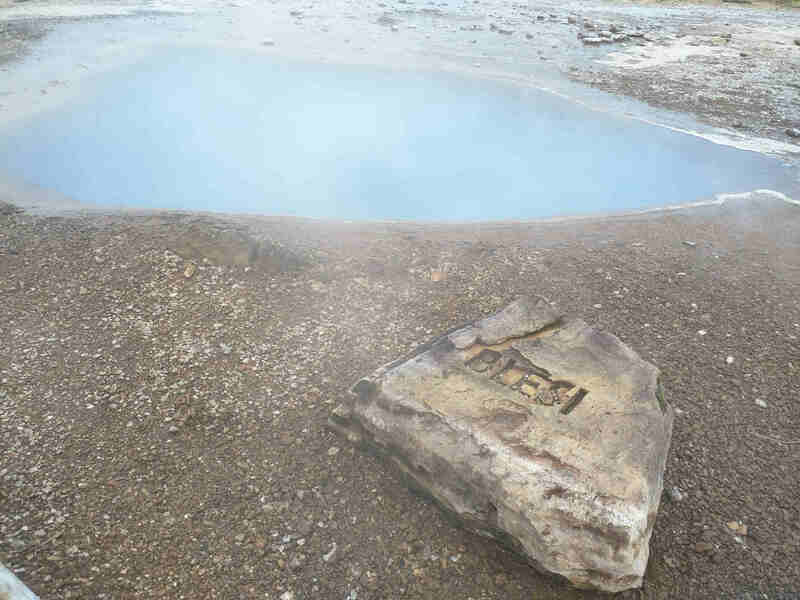 This is a picture of an awesome colored, very, very, hot pond near Geysir. No touching. 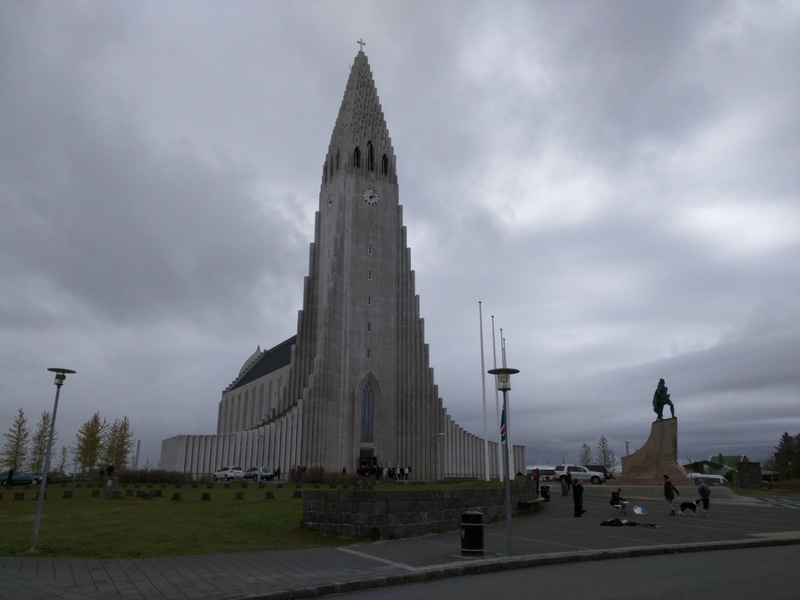 Hallgrimskirkja – Awesome church that overlooks Reykjavik. Also see the statue out front? That is Leif Erikson. There is a ginormous organ in the church and we were able to sit in the church and watch a guy get down on the organ and by get down I mean play a pretty neat organ tune. View from Hallgrimskirkja overlooking Reykjavik. Gotta love those neat colored roofs..
Chuck Norris Grill with amazing Chuck Norris quotes on the door like “Chuck Norris once kicked a horse in the chin. Its descendants are known today as giraffes.” And no we didn’t eat here although they apparently have good hamburgers. 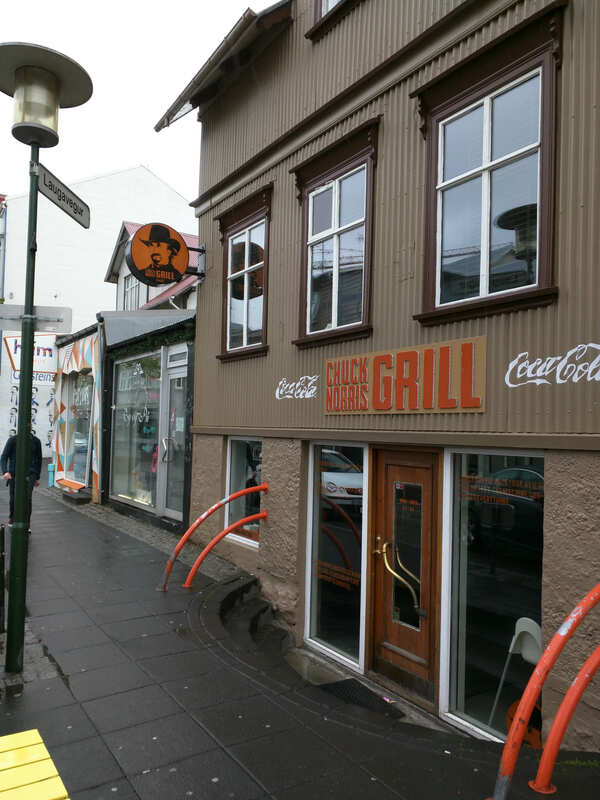 Oh and I forgot to mention, the Icelandic love their hamburgers. But who doesn’t love a good burger? 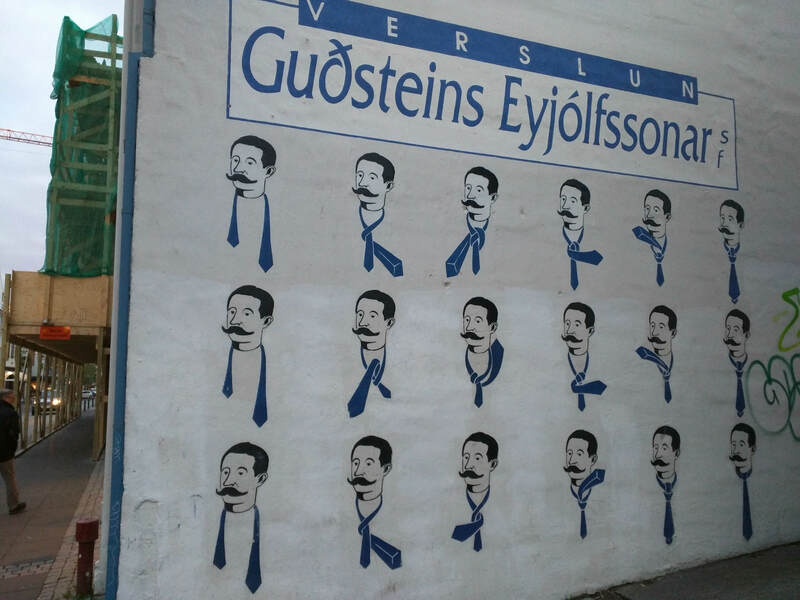 Wall art on how to tie a tie. Dan took this so he could “remember how to tie different types of ties” because yea he is also going to remember to look at this picture once every two years he needs to tie a tie..
-Dress warmly and bring a rain coat. This place is not warm..so dress accordingly. 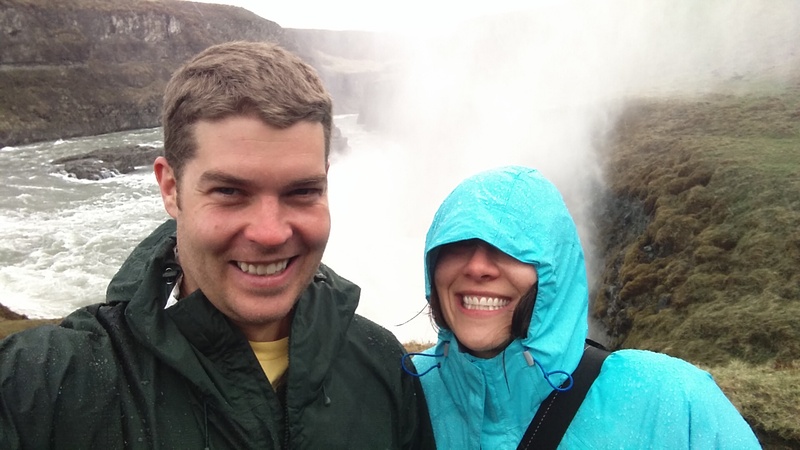 -Spend the $ and see Gullfoss and Geysir. They are awesome. -Stay in City Center. That is where everything is all of the shops, restaurants, bars etc. and it is super easy to walk around! Well thats all for Iceland. Next post will be about Barcelona..off to Espanya!! Haha we totally ate at the chuck Norris restaurant after we got kicked out of the other restaurant that one night! And yeah, the burgers are good! 🙂 You can order the burgers downstairs and they will deliver it to you upstairs in the whiskey bar; best idea ever!